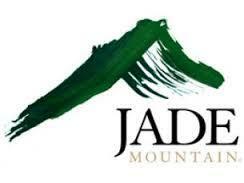 Since 1988, Jade Mountain has been a pioneer in the production of Rhône-style California wines. The winery was founded with the belief that carefully chosen California vineyard sites planted to Rhône grape varieties can achieve quality on a par with the best from France and Australia. Jade Mountain uses only the highest-quality grapes and practices traditional winemaking techniques to produce wines displaying intense fruit and spice and silky smoothness on the palate. These wines are appealing in their youth as well as eminently age-worthy.